Vest To Invest. 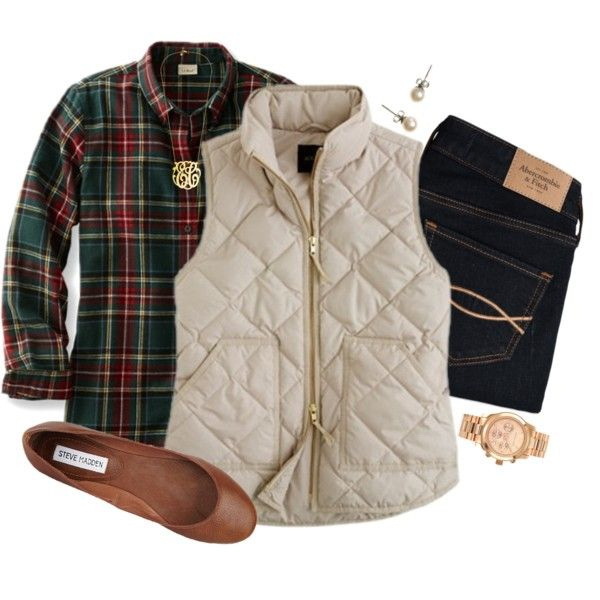 In today's article we are going to see awesome ways to rock a down quilted vest this year. 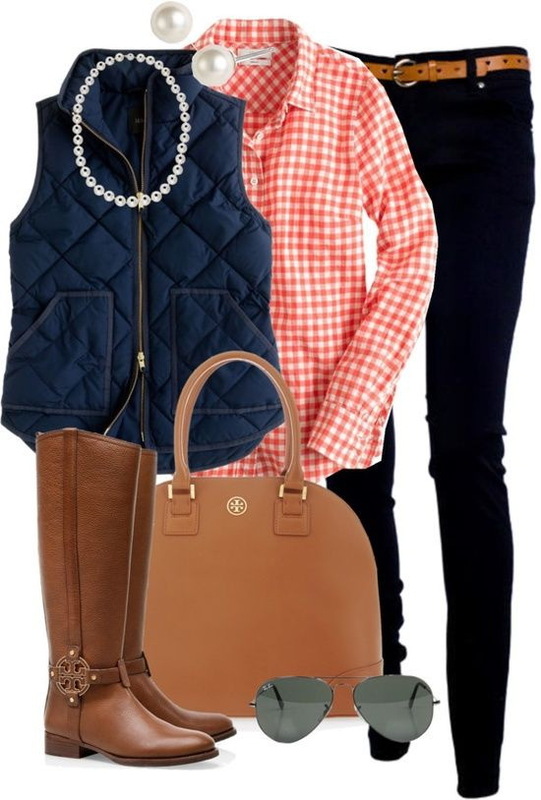 If you ask me what is the best time of year wearing down vest, then my answer would be- fall and warm winter seasons (but you can wear it even during winter months by pairing it with cozy sweater). What is so special about this cover-up anyway? 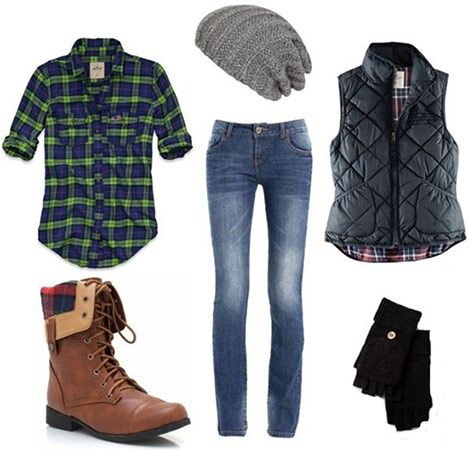 Personally, I like it for a layered look and versatility. 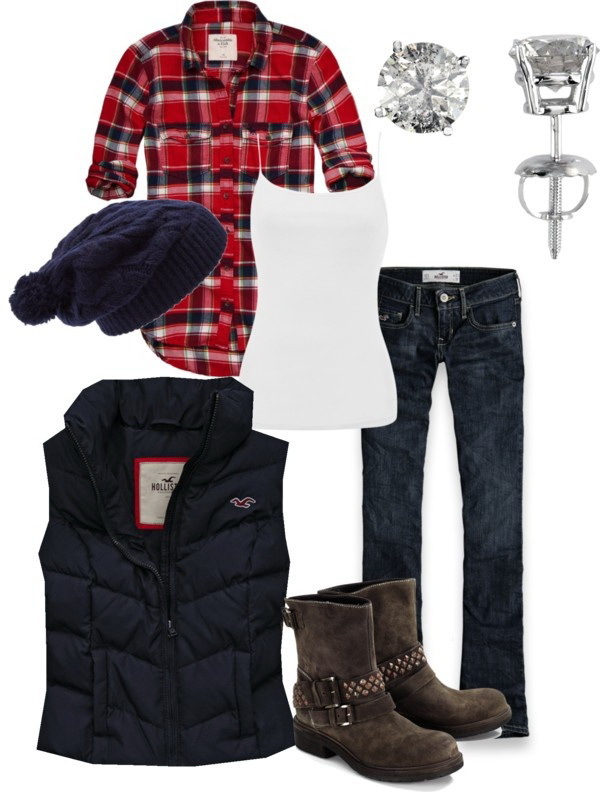 You can pair it with absolutely anything you want, starting from hoodies, flannel shirts, denim jackets and sweaters. 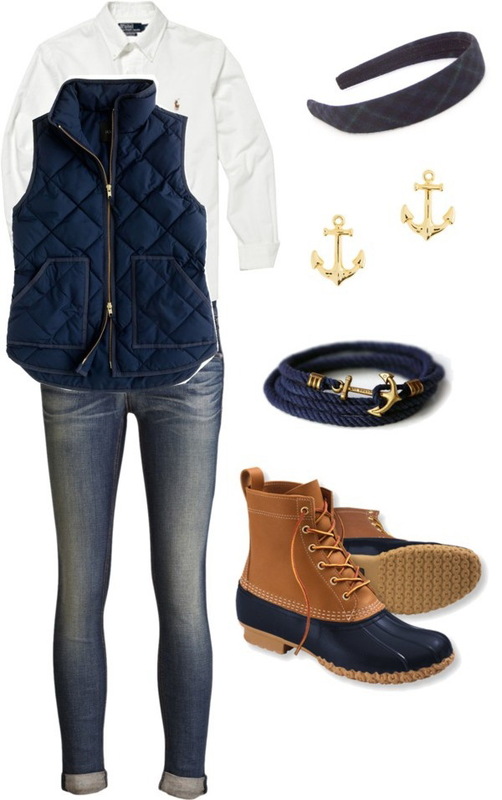 Here are shown stylish 16 ways to make the most out of this transitional weather staple. 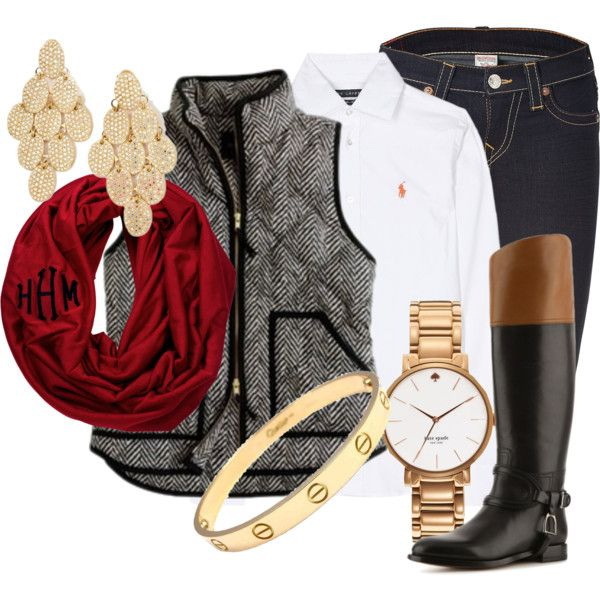 Check out these Polyvore sets and let me know your thoughts. 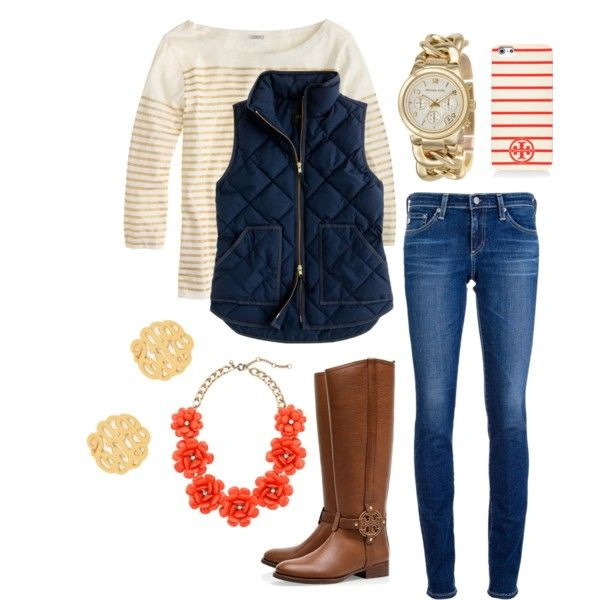 You can try a red one and style it with blue striped white long-sleeve top, dark blue skinnies, high brown leather boots and miniature brown leather shoulder bag. 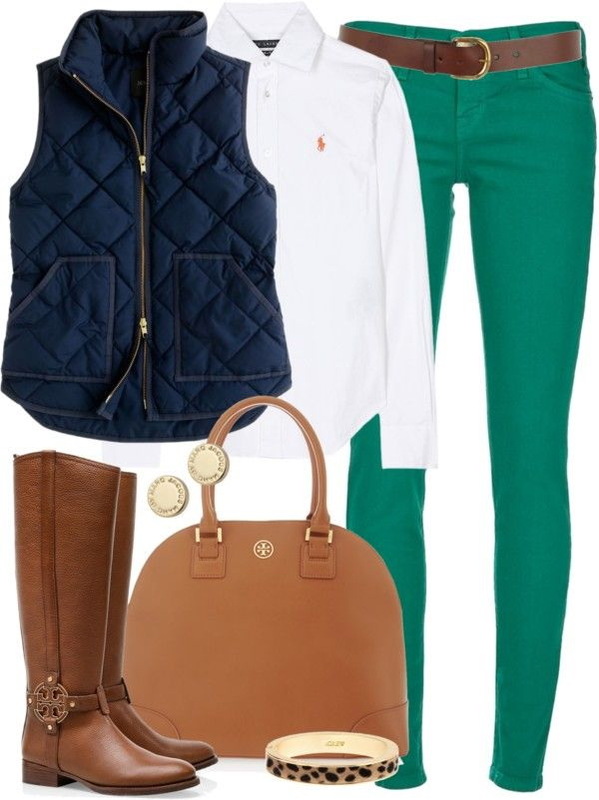 Down gilet is an ideal alternative to heavy winter jackets. 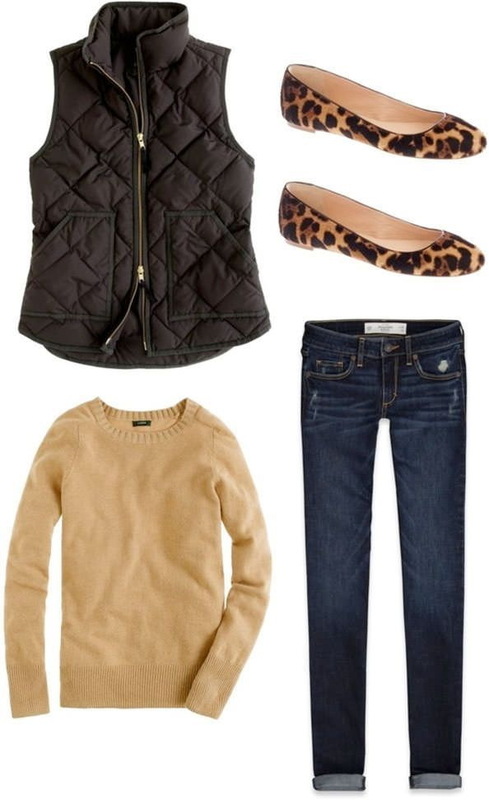 You can pair it with graphic sweaters, metallic and jewel-tone color palettes and button-downs for casual wear, as well as office meetings and night-out fun. 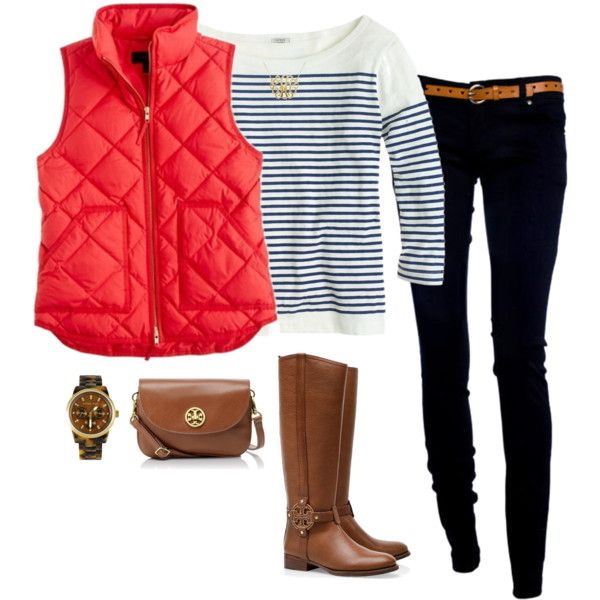 You can choose neutral colored puffer vests and style them with graphic, striped, bold or ornamental print knitwear. Personally, I love pairing them with button-downs, no matter if it's a plaid shirt, chambray, tartan, flannel or gingham one. 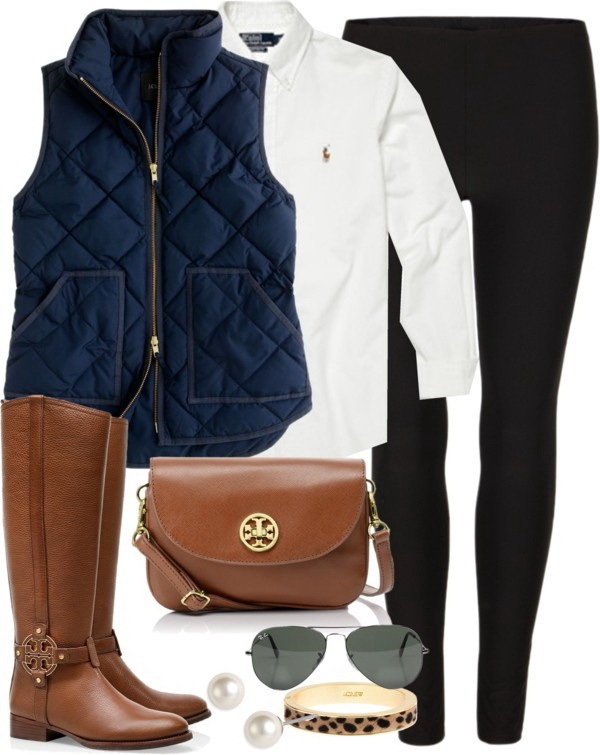 If you want to wear down vest to the office, then you better try them with polished crispy white shirt or ladylike blouse and complete the look by adding pencil or bandage skirt with ankle boots. 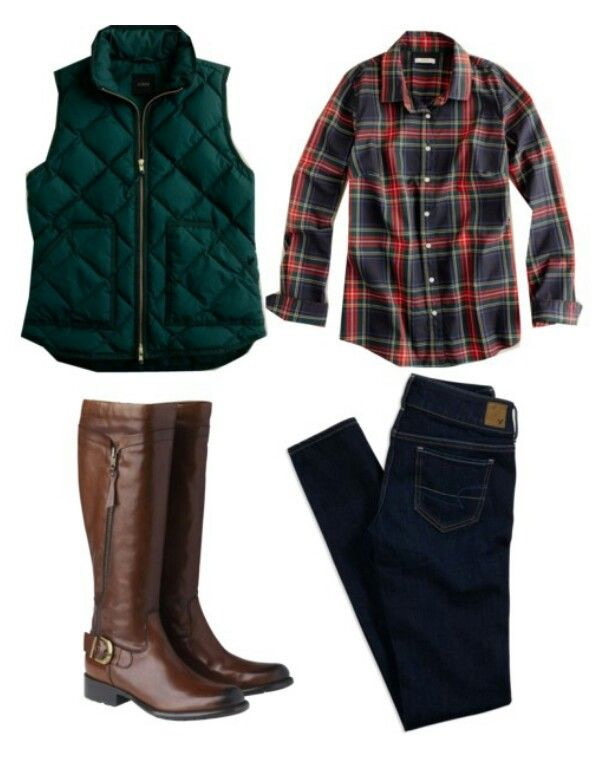 Can you please tell me the brand of the 3/4 sleeve striped shirts and the blue and green tartan button down from this article “Vest to Impress”? Thank you!